Panie Proszą Panów w kinie Luna! 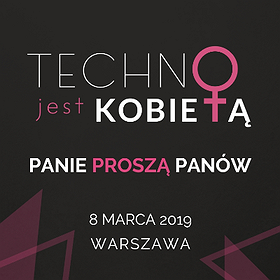 Techno is a Lady invites You all to the official inauguration of the project promoting the growing feminine side of electronic music. We want to present you amazing music projects of Polish artists who take Polish and European clubs by storm. On March 8, in the Women's Day, the wonderful girls will take over the unique interior of the Luna Cinema. We will embark on a space journey through all corners of music. This is a Women's world, but what would it be without Men? According to a tradition known for years, that night Ladies invite to dance!